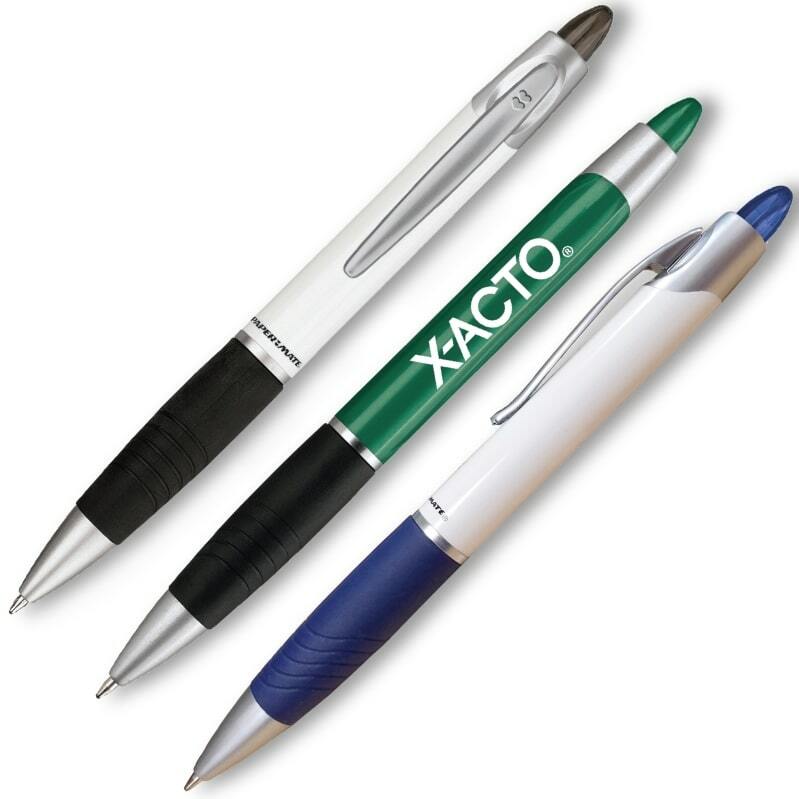 Brand name Paper Mate Pens - Get a logo printed on Element Pens. A upper scale PaperMate w/ stylish highlights 14 pen colors-styles. Price includes a one color imprint on barrel 1 11/16" w x 5/8" h.